What makes a space comfortable and welcoming? A lot of small changes that are easy to make. Is your home bringing you down? As anyone who has lived in cramped, dark or tight quarters knows, your living space can have a big effect on your mood. Blakeney, 38, is a firm believer in using design to improve the quality of your life. 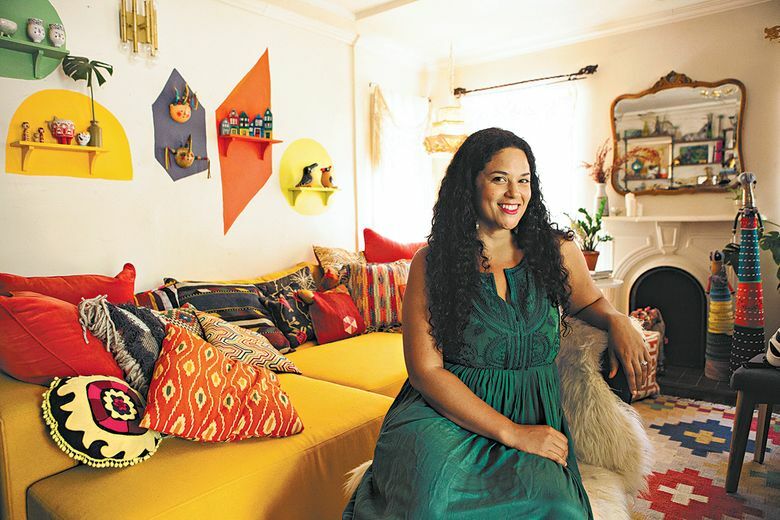 Her own home, a 1926 bungalow in Los Angeles, is filled with color, pattern and greenery, which she says improves her mood and enhances productivity and relaxation. She offers some tips for creating a home that supports well-being. “Doors should swing freely, passageways should be cleared, and zones should be created that support your daily routines and activities,” says Blakeney, who discovered the importance of this after her daughter was born five years ago and the area behind her front door became a landing pad for shoes, strollers and other gear. The same attention should be paid to furniture you keep running into, like that odd-shaped coffee table or the corner of your bed. Don’t just sweep away the cobwebs — remove items associated with bad memories and replace them with things that evoke hope, beauty or cheer. If adding a window is not an option, she recommends hanging mirrors in strategic places to reflect whatever natural light you have. Don’t have a color in your memory bank? “Look at colors that you already collect” — in your closet, on your car, in your Pinterest feed. You may already be tapping into shades that evoke positive feelings without even thinking about it. This may explain why she has 52 houseplants in the tiny home she shares with a husband, a child and a cat. The plants, which range from small succulents to large palms, appear in every room, adding a touch of whimsy and life.